Using Custom Audience To Choose Business Name – In Under 10 Hours! 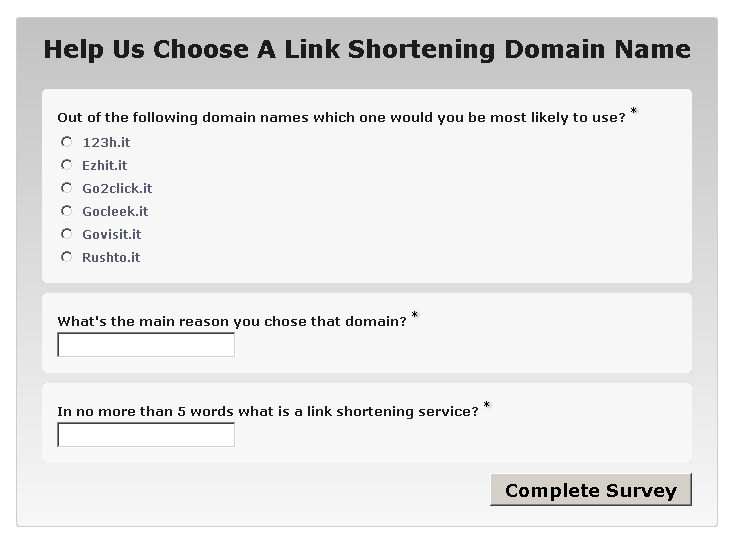 As one of our Obsurvey Labs projects we are launching a link shortening service. 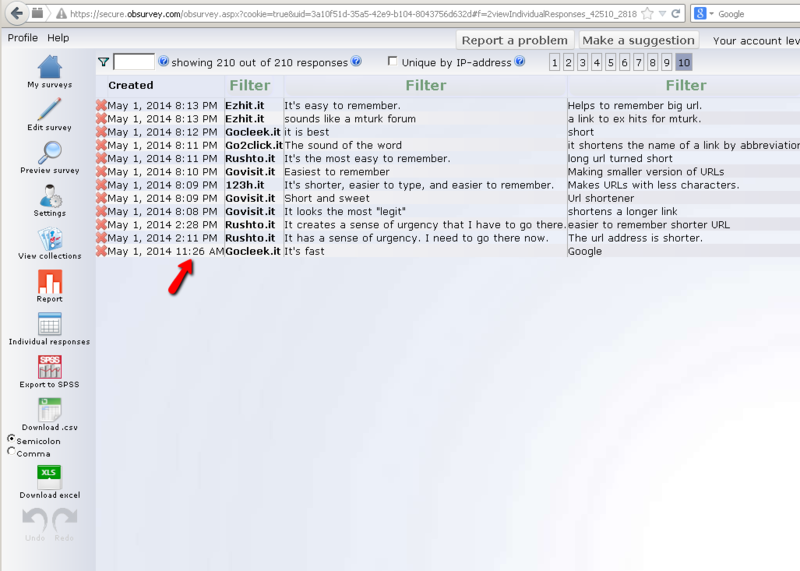 This helps people by taking a long link and shortening it into an easier to remember link. It also allows you to track how many times the link has been clicked, from which countries etc. Some advanced features include making the link available to the first 100 clickers only, setting an expiry date, password protecting it etc. Pretty cool project, right? Choosing an easy to remember, catchy domain name is crucial to the success of the tool. 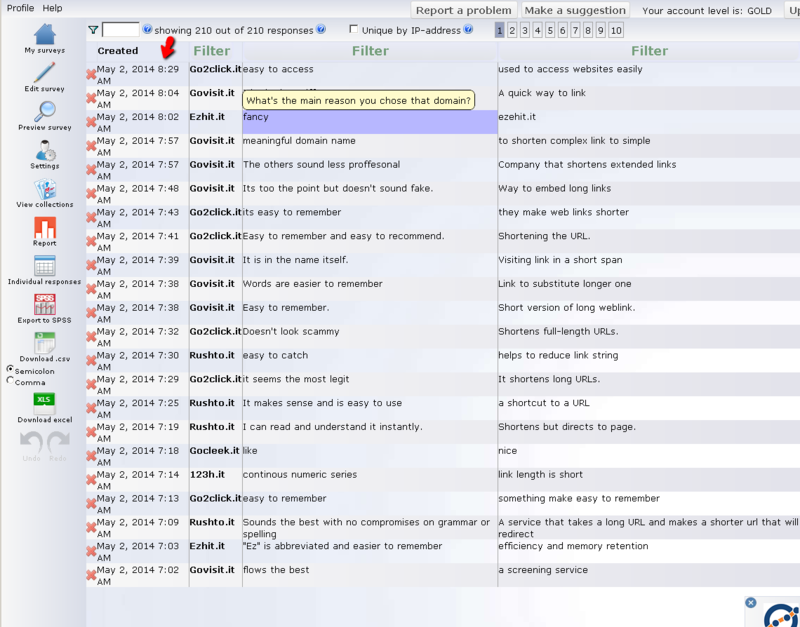 Step 2: We used Obsurvey Custom Audiences to gather answers fast. Time was of the essence because the launch deadline was hours away. And decided we had enough data on May 2nd at 8.29AM less than 10 hours after collection started! …Got a burning question you want to ask but don’t have anyone to ask it to? …Got a business idea, concept or logo you want to test before taking it to the market or to investors? …Got plenty of questions but not enough people to ask them to? Fill up this form now and discover how Obsurvey Custom Audiences can help you reach your goals!